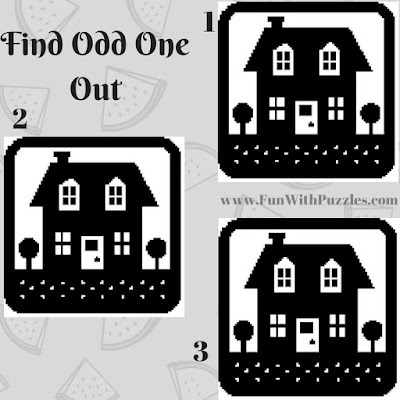 Finding the odd one out is very interesting puzzle. In childhood I used to love the puzzles in which one has to find differences between two given pictures. Slowly I found a technique find the differences in pictures very quickly. This technique will work in case two picture in which one has to find the differences are put next to each other. To solve this puzzle, I will stare at these two picture simultaneously and slow these two picture get merged together to form the third picture in between these two pictures. In this third picture the differences between these two pictures will stand out. Today's Odd One Out Puzzle pictures are different from Find the difference puzzle picture. 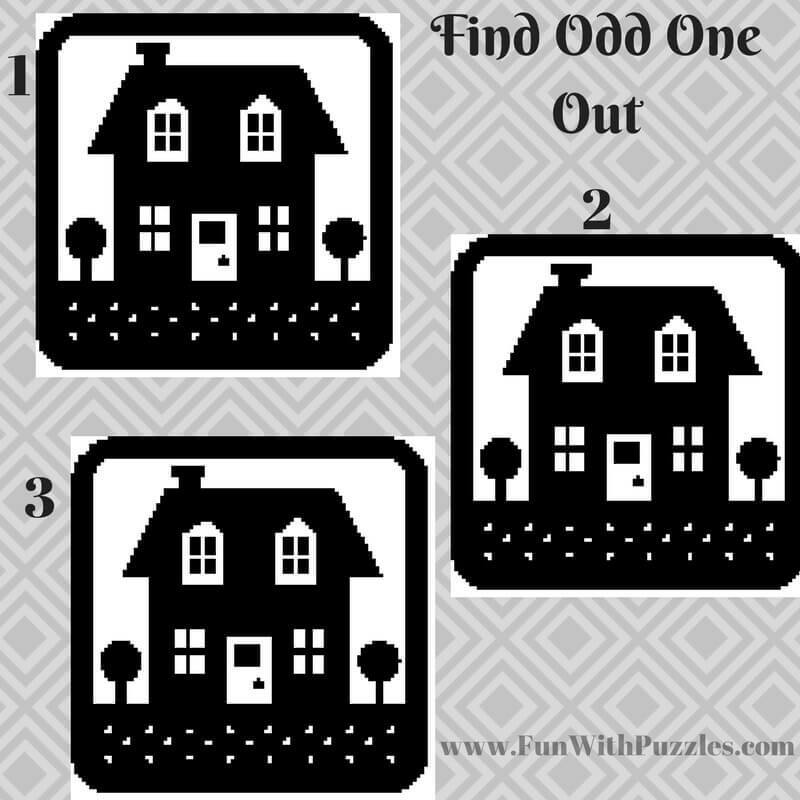 In these Odd One Out puzzles three pictures are given. Out of these three pictures two are exactly alike and only one is different from others two. You have to find this third picture which is different from others. 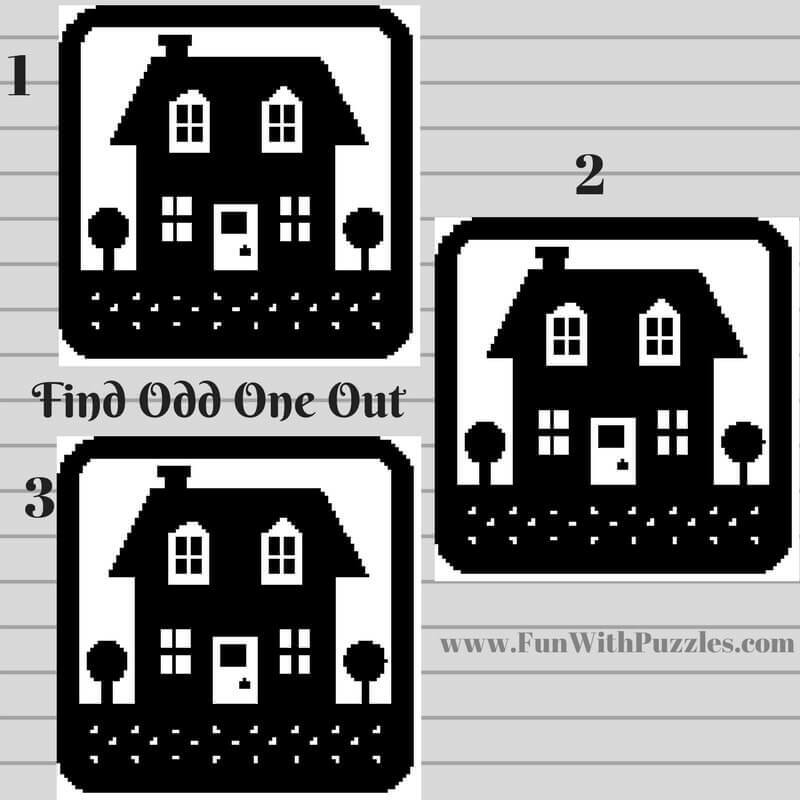 In all these five odd one out puzzles I have used only one picture. Looking forward to your comments and feedback. 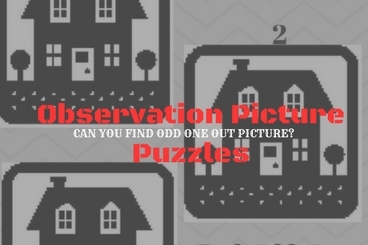 Answers link for these puzzles is given at the end of this post. However do post your answers in the comment section of this post. 2. Can you find Odd One Out Picture? 5. Can you spot the Odd One Out Picture? 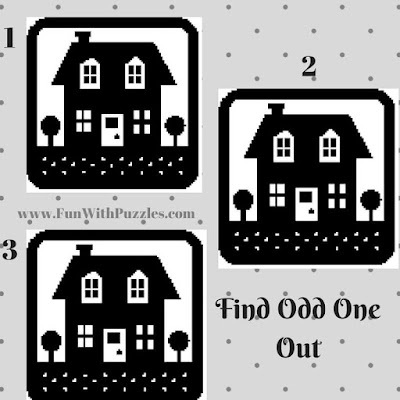 Do check below listed Odd One Out Picture Puzzles and Brain Teasers to test your observation skill. 1. 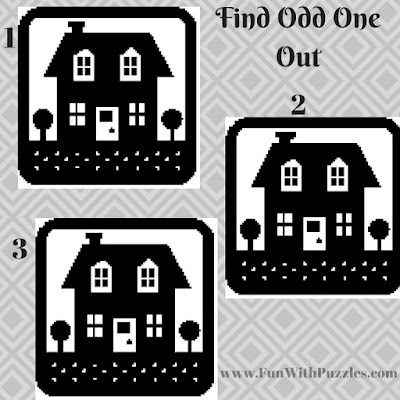 Spot The Difference Picture Brain Teasers Questions and Answers: This is very easy set of Odd One Out Picture Puzzle in which your challenge is to spot the difference picture among three given picture puzzle images. 2. Odd One Out Puzzles for Kids, Teens and Adults: These are Odd One Out Puzzles with numbers. In these puzzles your challenge is to find the odd number out which is different from others numbers in the given group. 3. 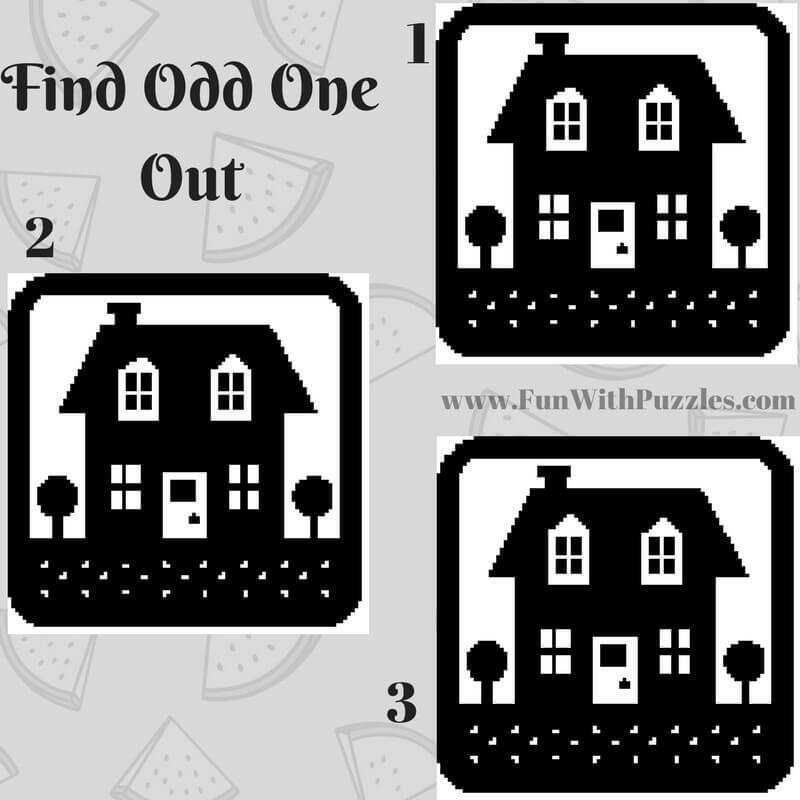 Odd One Out - Fun Letters Quiz for Kids: These Odd One Out puzzles are with letters. Your challenge is to find the Odd letter out which is different from other letters in the group. 4. 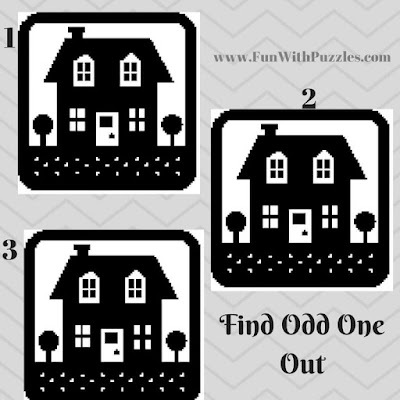 Tough Odd One Out Picture Puzzles for Teens and Adults with answers: After all these easy Odd One Out Picture puzzles, its time for some tough Odd One Out Picture puzzles which will twist your brain.